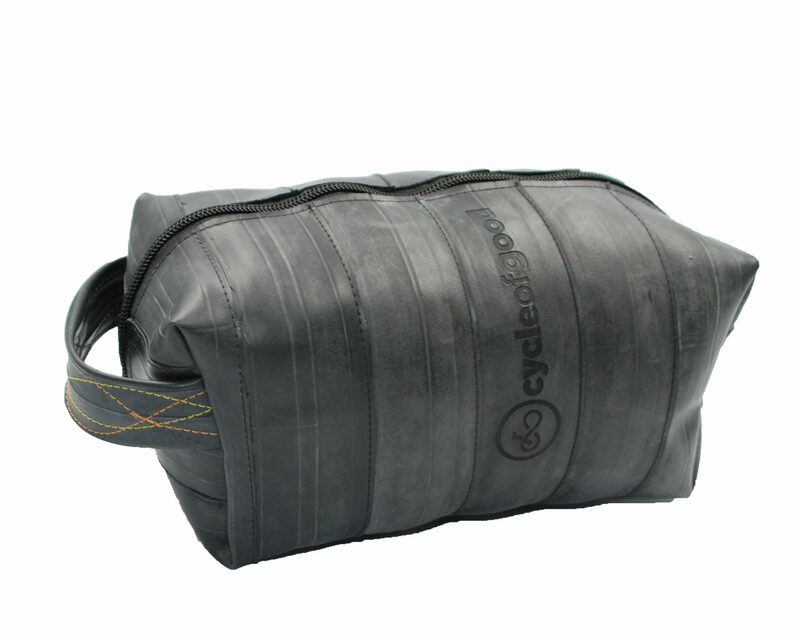 This roomy wash bag will hold everything you need for a holiday or for scrubbing up after a long hot cycle ride. 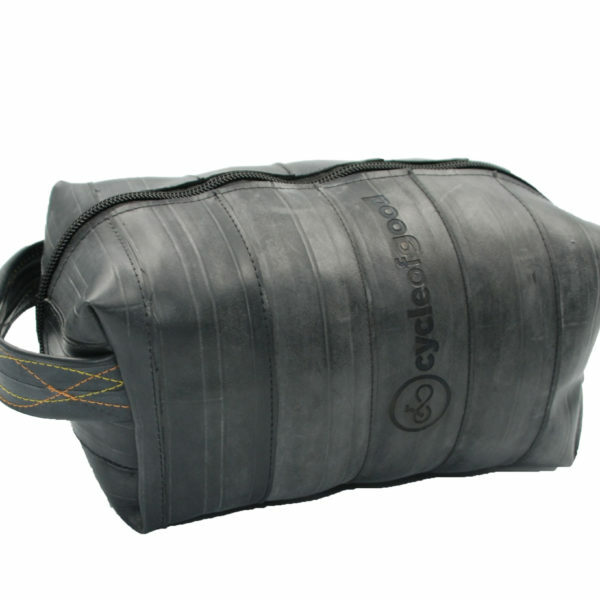 Designed with practicality in mind, the bag is unlined so you can wash it out just in case if you have a dreaded shampoo explosion! 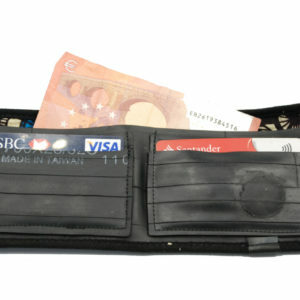 It has a feature stitched carry handle that will serve well for hanging on changing room hooks. 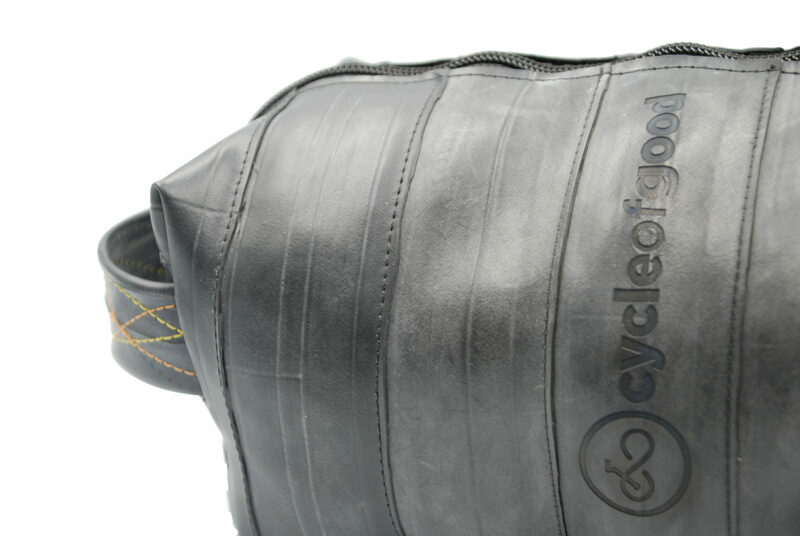 The sturdy full length zip means you’ll have easy access to all the bits and bobs inside. 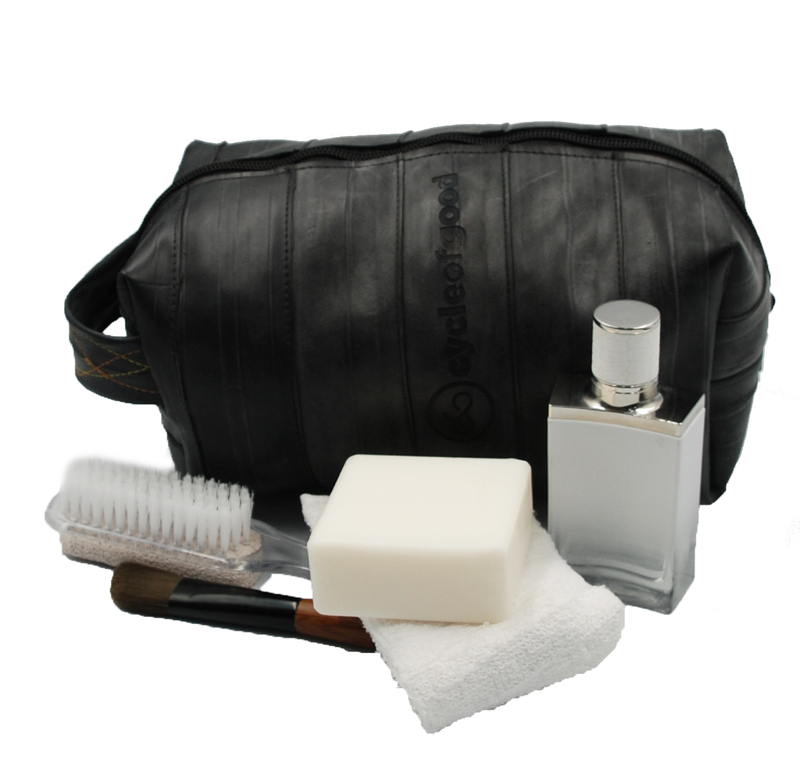 Plenty of space for your toothbrush, shaving kit and the rubber duck too! 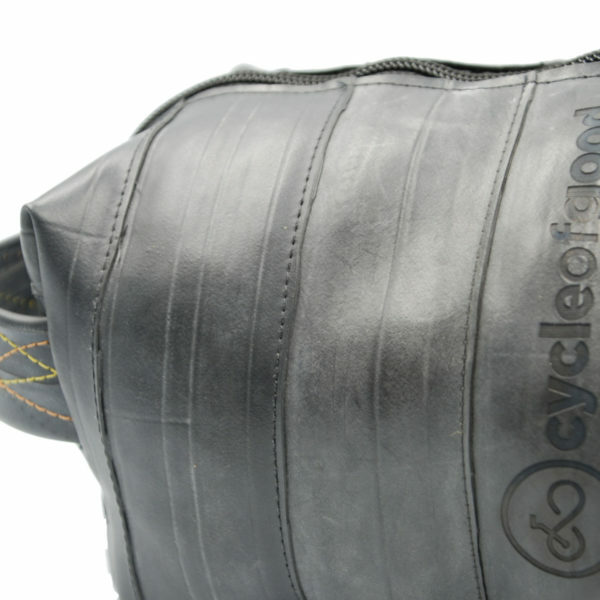 This is made from 100% recycled bicycle inner tubes saved from UK landfill and then handcrafted by trained tailors in Malawi. 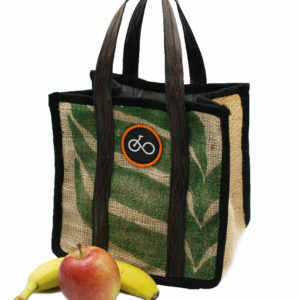 Completed with a laser engraved Cycle Of Good logo. Shower proof to keep your goodies dry.